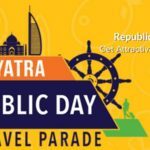 Cleartrip brings you the Republic Day Sale, enjoy awesome offers on domestic flights & hotels and explore beautiful India with your friends & loved ones. Get upto Rs 2500 cashback on domestic flights and Rs 1000 cashback on domestic hotels. The domestic flight booking needs to be for 2 or more passengers and travel after 7 days from the date of booking. 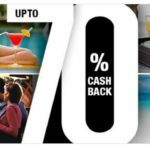 The cashback will be credited in your Cleartrip wallet within 24 hours. Search and book any domestic flight online or on the Cleartrip app. Simply enter coupon code CTREPUBLIC before making the payment. The cashback will get credited in your Cleartrip wallet within 24 hours. How to book & get the domestic hotel cashback? Search for any domestic hotel online or on the Cleartrip app carrying the “Use Coupon Code CTREPUBLIC & Get Rs. 1000/- Instant Cashback​.” offer message on the Hotel Search Results page. Maximum cashback offer on domestic flight booking is Rs 2500. The domestic flight booking needs to be for 3 or more passengers. The offer is valid only if the travel date is after 7 days from the date of booking. You can avail this offer when you either book one-way/roundtrip domestic flights on cleartrip.com or cleartrip mobile app. On the Hotel Search Page. all eligible Hotels will display the offer message tag while non-eligible Hotels will not display the offer message tag. If you book any non-eligible hotel, your booing will be confirmed but you will not receive any cashback for this transaction. During the booking process, always check if you have correctly entered the coupon code CTREPUBLIC. If not, then you will not receive any cashback. Flight offer applicable on payments made through debit/credit card only. Not valid for payment made through Cleartrip wallet, Netbanking or Cash. Hotel offer applicable on payments made through netbanking, credit/debit card. Not valid for payment made through Cleartrip wallet or Cash. You can avail this offer only once. If you transact more than once, you will still be able to book but will not avail any cashback on your second transaction. This entry was posted in sabse sasta online shopping deals and tagged ClearTrip Republic Day Sale!, Domestic, Flights, Hotels., Up to Rs 2500 Cashback.